A log cabin in the woods fulfils a dream of a peaceful retreat from the city, surrounded by the sights and sounds of gorgeous rural America. That dream often features the perfect log cabin, and when closing our eyes to imagine our perfect little wooden retreat, quite often, it will look just like the home we are featuring today. 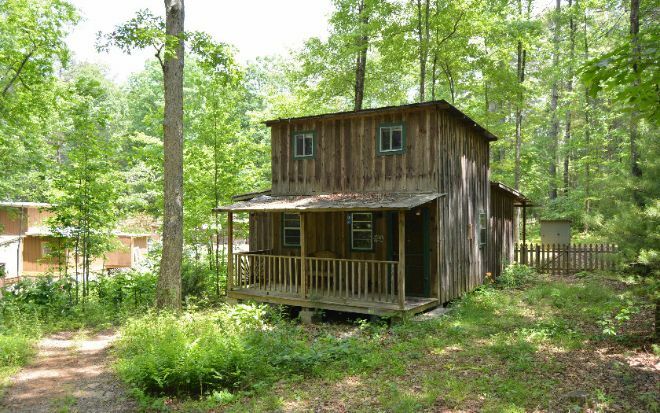 This rustic mountain cabin is located in Murphy, North Carolina, and boasts a beautifully-aged exterior which has seamlessly blended into the surrounding woodlands. The property sits in 0.8-acres (3,237-square-meters) of remote forest and includes a private well. 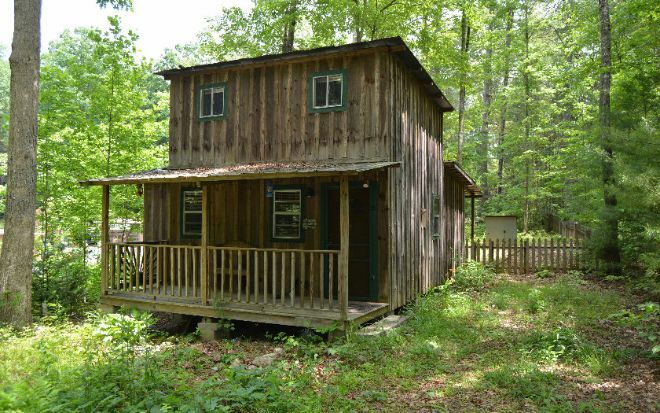 Oozing individual character, this timeless little cabin has two bedrooms, one bathroom, a spacious living room and a full kitchen. Shall we explore further? 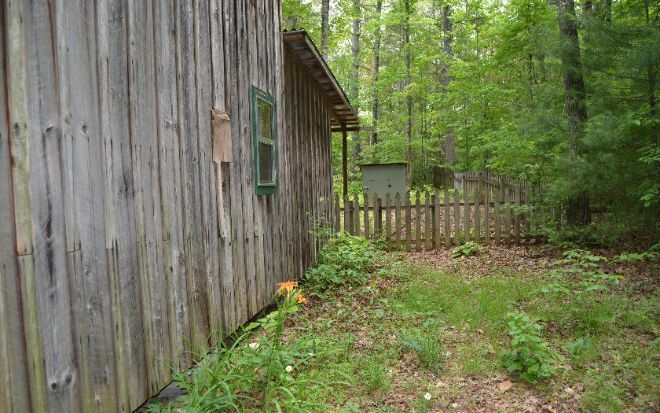 When imagining a dream log cabin, this is the picture we have in mind: a rustic exterior with a woodland surround. We love the individual character of this timeless wooden retreat. Wonderful! 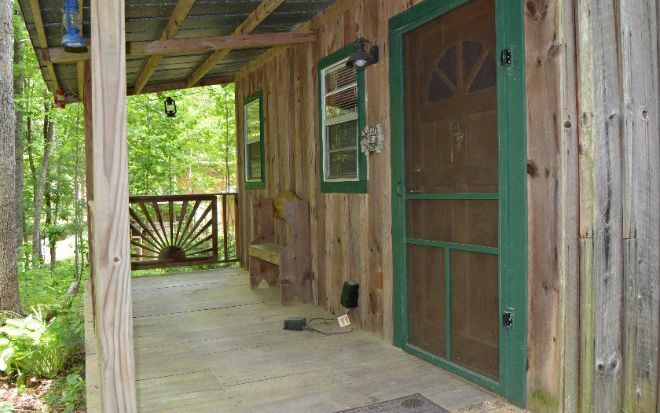 No cabin retreat would be complete without a porch to sit out on. It is part of the lifestyle: Relaxing with the air, the smells, and the sounds of the forest. We enter the cabin into the open-plan main living space comprised of a kitchen and a living room. 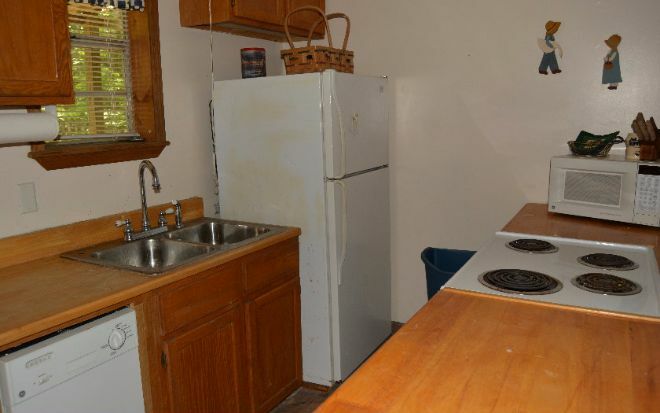 The kitchen has plenty of countertop space and is complete with a full array of modern appliances. 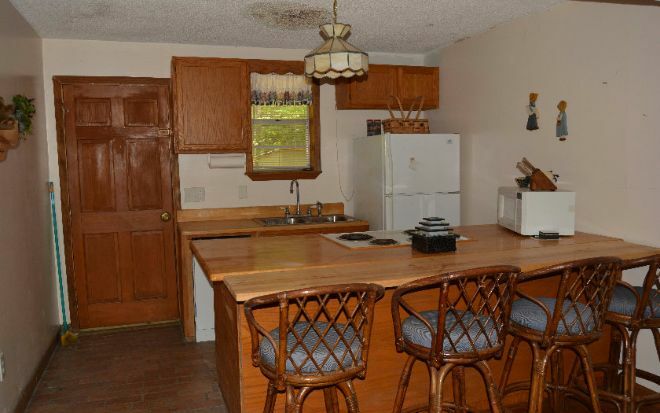 The kitchen is a spacious area which includes a breakfast bar for dining. Stepping back, we can see a more complete picture of the ground floor layout. 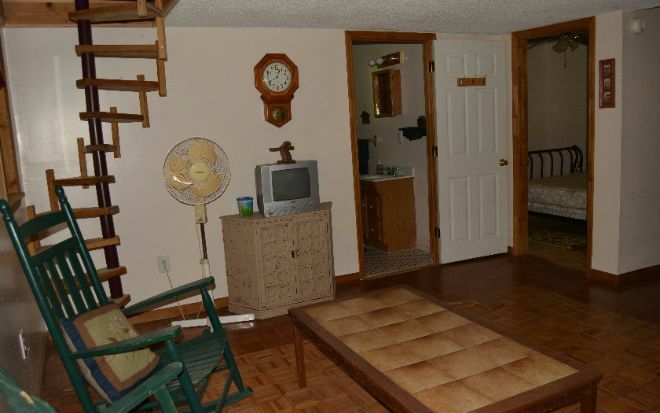 The living room is spacious and simple, which is how a log cabin should be. The ground floor is completed with the master bedroom and bathroom. 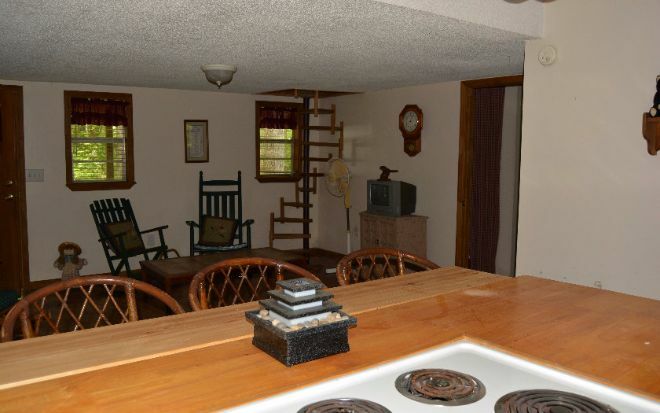 A winding staircase leads to the sleeping loft. 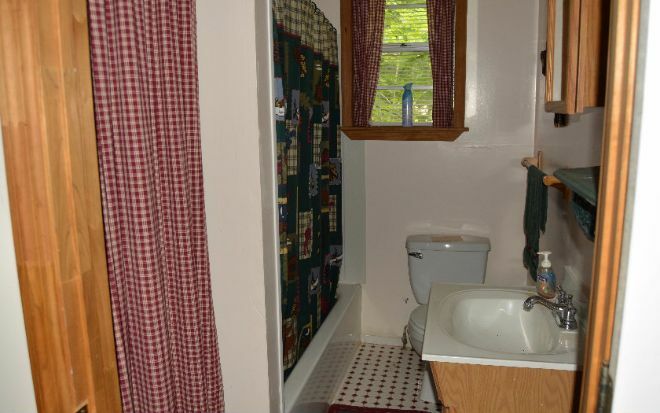 The bathroom has ample space to serve its purpose. The use of white tiles throughout creates a clean room which is light and bright. 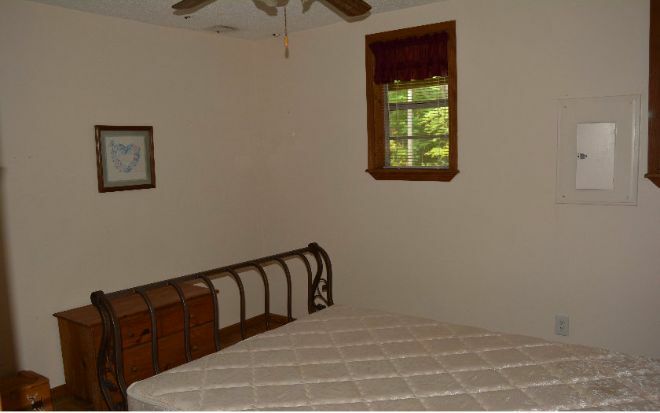 The master bedroom - located on the ground floor - is cozy and comfortable, offering plenty of space to house the rugged furniture which complements a rustic retreat. 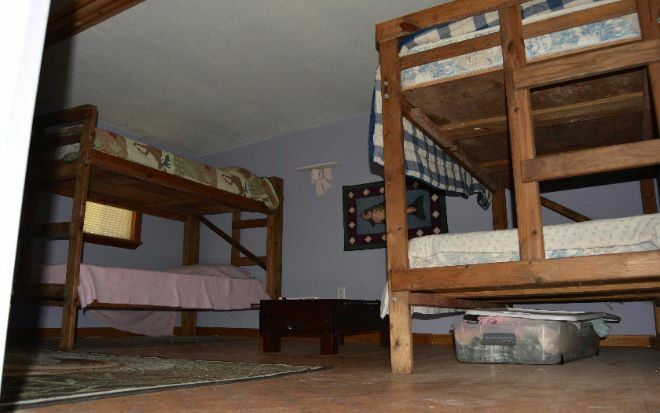 The upstairs sleeping loft is a large open space which can easily be customized to suit the owner's requirements. 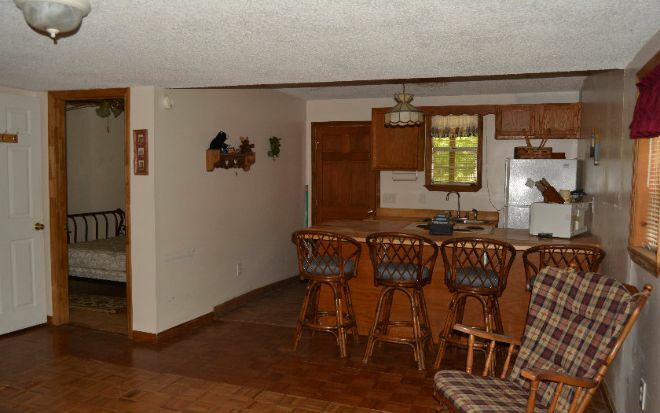 The current owner has created enough sleeping space for a large party of friends or family to enjoy a weekend getaway in the woods. 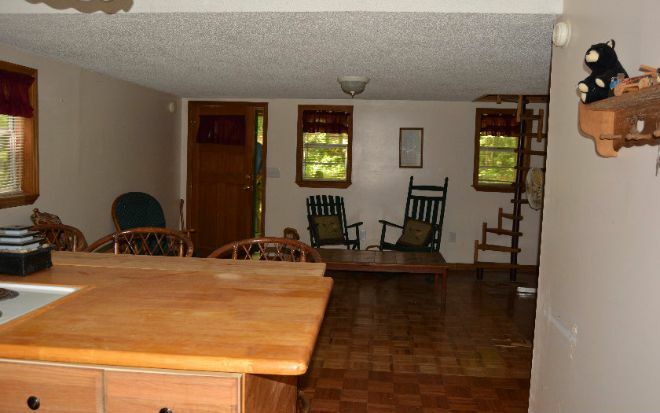 Is this the rustic cabin you had in mind? LIKE and SHARE with your friends on Facebook.